TorGuard is a well-known provider of VPN, web encryption, Wi-Fi privacy, SmartDNS, secure email and proxy services. Based in State of Florida, the company started its operations in November’ 2012. While the popular perception is that the word “Tor” within TorGuard refers to the Tor project, in reality; it makes a reference to “torrents” and bittorrenting. This TorGuard review will focus on discussing the features of TorGuard’s VPN service and how you can benefit by using it. TorGuard has a presence in as many as 40 countries. The company has deployed more than 1000 servers in important VPN markets such as USA, Sweden, Hong Kong, South Africa, Finland, Turkey, Singapore, Mexico, Indonesia, Luxembourg, Switzerland, France, Czech Republic, Tunisia, Malaysia, Brazil, New Zealand, Ireland, Canada, South Korea, Italy, Japan, China, Romania, Russia, Portugal, Australia, Netherlands, Iceland, UK, Poland, Panama, Egypt, Greece, India, Germany, Norway, Denmark, Spain and Belgium. The global server network of the company makes it easy to unblock all websites and online services that are blocked by schools, offices or ISPs or are not available at a particular location due to GEO-IP restrictions used by the content providers. With your TorGuard subscription, you would be able to unblock premium sites like BBC iPlayer, Netflix, ABC iView, Xfinity, TV Tokyo, Voddler, Wilmaa, USA Network, Demand 5, TV Japan, MTV, CBC, E!, WimpMusic, Canal+, Zattoo, Rai TV, ABC Player, RTE Player, TV Asahi, TVB, Spotify, NRK, Star TV, HBO Go, NHL, Pandora, MyTV, Tudou, Lovefilm, Much Music, Direct 8, Vevo, QQLive, Arte, CBS, Amazon Prime, FOX, Youku, RTL, Mio TV, CWTV, Vudu, Global TV, iTV Player, Russia TV, Rara, 4OD, Deezer, MLB, CTV, NBC and Sky Go from all over the world as well as access frequently blocked sites like Twitter, Facebook, Gmail, YouTube and Skype at schools, workplaces and censorship prone locations like Middle East, China and Latin America. The provider even permits unlimited server switching which means On-Demand sites from 40 countries become available to you with just one subscription. TorGuard VPN is engineered to deliver extremely high speeds and unlimited bandwidth to its subscribers. The company’s servers are connected to Gigabit+ ports so you should be able to get 5-100 MBPS speeds with. The company even promises 99.99% uptime and permits torrenting from most of its locations (not from US or UK though). TorGuard ensures your privacy with military grade, 256-bit AES encryption. The provider supports a number of VPN protocols including OpenVPN, PPTP, L2TP, SSTP, SSH and ikev2 which ensures that you get optimal level of security and privacy on a device of your choice. The service makes it possible to secure personal information and search habits, protect real IP address from hackers and unscrupulous companies, keep wireless sessions safe as well as circumvent all types of censorship, snooping and surveillance. The service even offers a Stealth VPN option that allows you to bypass Deep Packet Inspections carried out by the governments of China and UAE to block VPNs and SSH tunnels. In addition to providing a highly secure service, the company ensures your privacy by maintaining a zero-log policy. The company does not log usage or traffic details plus it never shares personal information of users with third parties. 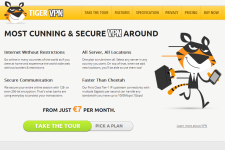 For even more security, the company has segregated its billing and VPN authentications servers. However, TorGuard does comply with all court orders so the service should never be used for illegal activities. TorGuard works on a very wide range of devices and operating systems including Windows (XP, Vista, 7, 8), Mac OSX, Linux (Ubuntu/Debian/Mint), iPads, iPhones, Android devices, Boxee Box, Blackberry, Windows Surface and Windows Phone. The company offers powerful clients (TG Lite and TG Viscosity) for most Operating Systems and even provides a free Viscosity license to all VPN users. For users who wish to use the service on Smart TVs or gaming devices, the company offers pre-flashed DDWRT, Tomato and pfSense routers through its very own store. 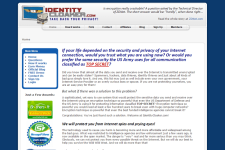 The provider uses a shared setup for maximum anonymity but users have the option to get a dedicated IP address. The service can be used on 5 different devices simultaneously so there is no need to buy multiple subscriptions for your Smartphones, tablets, desktops and laptops. TorGuard offers support through live chat, email, telephone and tickets. The company’s support team comprises of highly trained professionals who are available round the clock to answer user queries. Customers even have the option of interacting with other users through the TorGuard forum or resolve common issues by going through articles available in knowledgebase and FAQ sections. 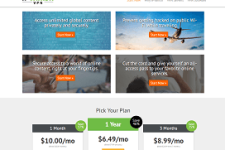 TorGuard VPN plans cost $9.99/month, $19.99 / 3 months, $29.99 / 6 months and $59.99 / year. 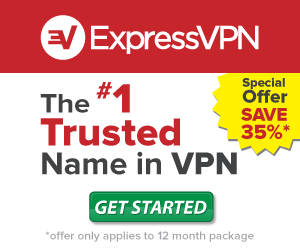 The company offers VPN + Proxy Bundles from $11.54 a month while dedicated IPs are available from $7.99 a month. There are over 80 payment options available including anonymous payment methods like bitcoins, litecoins and gift cards so you can subscribe to the service without revealing your personal details. While the company doesn’t offer free trials (in order to prevent abuse of the service), it does provide a 7 day money back guarantee to all new subscribers. However, users downloading more than 10 GB of data within the first 7 days are not eligible for refund. TorGuard is clearly one of the best VPN providers out there. The service not only offers great speeds and top notch privacy, it is also backed by a responsive and qualified support team. So if you are looking for a great privacy service to protect your anonymity online, bypass surveillance or simply to unlock websites, you simply cannot go wrong with TorGuard. For more information, please visit: www.torguard.net. 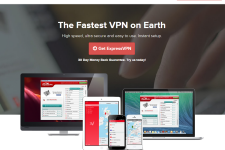 VPNBook Review – Does The Company Provide A Reliable VPN Service?